The histories of Ayurveda and Massage Therapy span thousands of years and many countries, with ancient records from both Eastern and Western civilizations documenting both as aids to achieving balance of mind, body and spirit. Ayurveda or “science of life” is considered to be the world’s oldest healthcare system. In India, more than 90 percent of the population uses some form of Ayurvedic therapy, following dietary principles, practicing traditional herbal medicine, or seeking help from trained Ayurveda practitioners. Ayurveda also places great emphasis on the therapeutic benefits of massage with aromatic oils and spices. In the West, Ayurveda is considered a complementary healthcare option, through the use of Ayurvedic elements such as massage, meditation and/or cleansing therapies. The Ayurvedic Centre offers various massages throughout the year and offers world-class care in the simple ashram environment. All massages and treatments are enhanced to the fullest through the practice of yoga, meditation and the beauty of the lakes, forests and mountains around the ashram. During the summer months, we have a resident Ayurvedic doctor at the Centre as well as highly-trained massage therapists from South India who offer various ayurveda treatments. You can take advantage of the Centre’s offerings whether you are at the ashram as a guest or would like to come for a massage or consultation with our physician on a non-residential basis. Ayurveda – a Sanskrit word meaning “Science of life” is a holistic system of medicine that has been practiced in India for more than 5.000 years. Ayurveda provides an integrated approach to preventing and treating illness through lifestyle interventions and natural therapies. In the human body, the five basic elements Ether, Air, Fire, Water, Earth manifest as Tridosha – Vata, Pitta, Kapha. These three principals govern all the biological and psychological function of the body and mind. Ayurveda’s aim is to re-establish the innate balance of a body’s different elements. 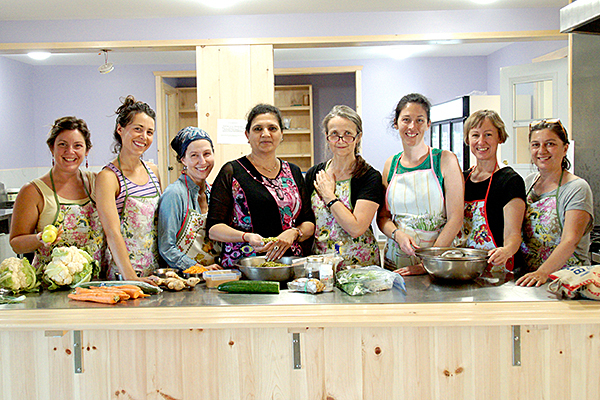 Nestled amidst the maple trees and maple leaves, within the tranquil environment of the Ashram, The Vishnudevananda Institute of Health (SIH) is an ayurvedic treatment center of excellence set within the Sivananda Yoga Camp. 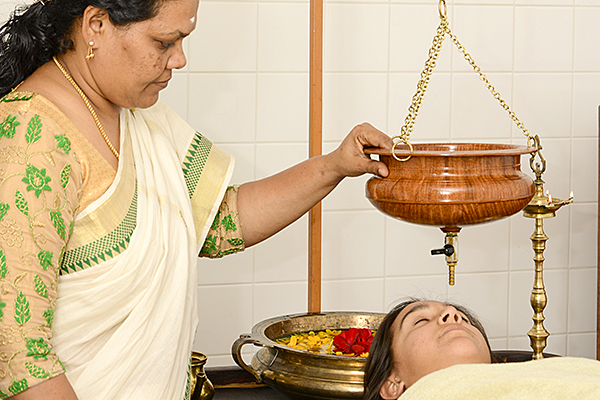 Here is a place to experience the benefits of classical Ayurveda healthcare. Our doctors and massage therapists are highly-trained practitioners, expert in treatments to restore optimum health and well-being. Our programmes are designed to suit all, regardless of age and gender. Since Ayurveda is preventative as well as curative, you need not have a specific problem to benefit from the wide-ranging treatments we offer. As each individual is unique, treatments are personalised using herbal medicines and oils to restore harmony and vitality. Included in all treatment programmes is the opportunity to experience Ashram life, including daily yoga classes and meditation sessions. Join us and learn the joy of living! *Please note that Ayurveda Massages are offered throughout the year. Please contact us for availability.